Despite claims Florida high school shooter Nikolas Cruz was linked to far-right militia group, police say no evidence of ties. JTA - Police in Florida found no connection between the Parkland school shooter Nikolas Cruz and a far-right paramilitary group from Tallahassee, they said. Leon County law enforcement sources told this to the Tallahassee Democrat after a leader of the group, Jordan Jereb, spoke with the Anti-Defamation League of ties connecting his Republic of Florida secessionist group with Cruz, 19, who on Thursday killed 17 people and wounded another 14 in the high school. Cruz was arrested and is being questioned. He confessed to shooting the victims with an AR-15 assault rifle, according to the Associated Press. Jereb said that Cruz was associated with ROF, having been “brought up” by another member, according to the ADL. Jereb also claimed that Cruz had participated in one or more ROF training exercises in the Tallahassee area, carpooling with other ROF members from south Florida. Hours after news outlets around the nation reported Cruz’s alleged ties, Leon County Sheriff’s Office spokesman Lt. Grady Jordan told the Tallahassee Democrat that investigative work did not yield any connections. In a post hours after speaking to ADL, a social media account bearing Jereb’s name said the whole thing was a “legit misunderstanding,” saying they have more than one member named Nikolas. 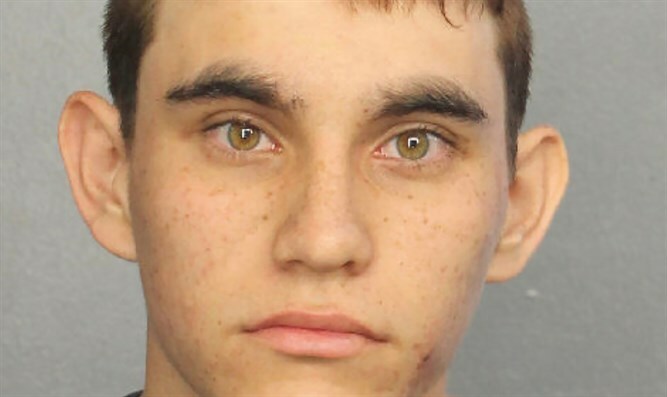 Cruz entered Marjory Stoneman Douglas High School Wednesday, investigators say, with an AR-15 and opened fire, killing 17 people and injuring 14. He faces 17 counts of premeditated murder. “This is a negative situation,” he added before hanging up to speak with ABC News. Jereb, a self-described “right-wing extremist nut,” faced charges in 2016 after threatening a high-ranking staff member of Gov. Rick Scott’s office. At least five Jewish people were among the 17 victims of the school shooting in Parkland.